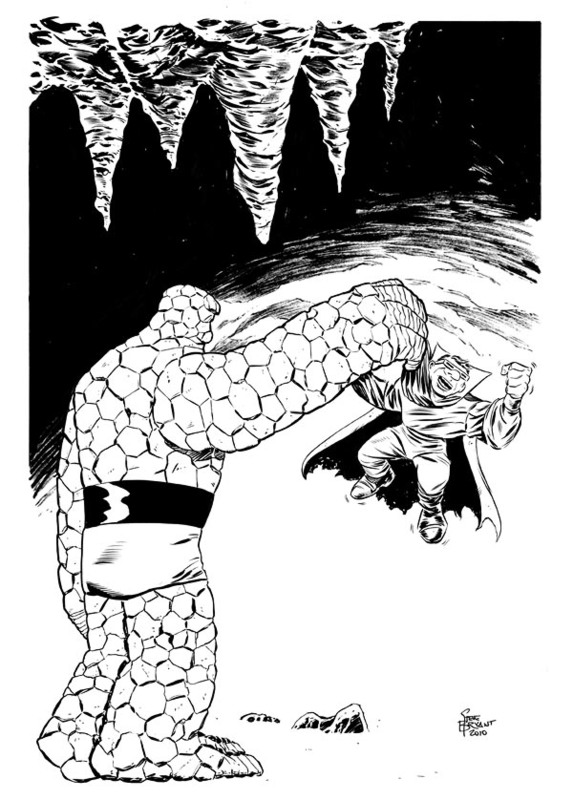 I wanted to do something with the Yancy Street Gang, but Mr. Kuhn already rocked that one, so I opted to humiliate the Mole Man instead. If I can self-promote for a second, please check out the Kickstarter campaign to fund my book, Athena Voltaire. Ooops! I just read what next week's Twart is--one of my all-time favorite characters! Gotta get to work! Lookin' good, Steve! Reminds me of all those great Arthur Adams stories from back in the day! The overall shape of Ben here is great, Steve. Really charming.